The National Beta's Leadership Summits take place all over the country, and we are fortunate that each year, sessions are held at the Great Wolf Lodge. These fun-filled, interactive sessions with Beta national sponsors and great guest speakers, teach the values of leadership and teamwork. This is a one-day trip. You can learn more from the brochure of a recent summit the club attended and attached at the bottom of the page. Typically, the cost is roughly $60 per student plus lunch. 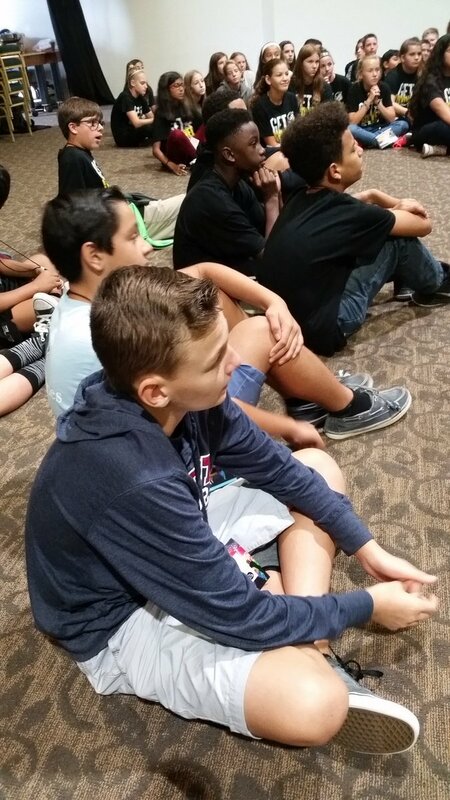 ​ Some Beta club members at the 2017 Leadership summit trip.